A UK trucking organization isn't convinced about the Tesla Semi's relevance. Last week, Tesla got everyone talking about the new Roadster and its mind-blowing performance. It debuted alongside the much-anticipated reveal of the Tesla Semi which was largely overshadowed, despite surpassing everyone’s expectations. 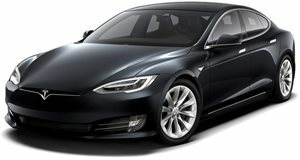 Like the Roadster, Tesla has made some very bold claims. When fully loaded with cargo, the Tesla Semi will hit 0-62 mph in 20 seconds and just five seconds without a trailer attached. In the real world, however, performance simply isn't a priority to long-distance truck drivers. In an interview with Autocar, the UK’s Road Haulage Association expressed its scepticism about the Tesla Semi’s relevance in the trucking industry. “Hauliers don’t care about these claimed figures,” the RHA’s policy advisor, Rod McKenzie, told Autocar. “They’re not relevant to us. We’re not looking for performance, not least because lorries’ speed is limited to 56 mph.” McKenzie believes that the Tesla Semi truck’s technology is ahead of its time, although he conceded that electric trucks are the way forward. “My gut feeling is that they are 20 years away,” he said. There’s also the issue of the Tesla Semi's potential price. Tesla hasn’t announced how much the electric Semi will cost, but it will certainly be substantially more expensive than a conventional gasoline or diesel semi-truck. McKenzie cited cost, range and cargo capacity as the main factors he thinks will prevent electric trucks from initially catching on. “I’m worried about the price point," he said. "The Tesla Semi is likely to cost more than 200,000 GBP ($264,540), which is beyond the budget of hauliers in the UK. A lorry here costs 85,000 GBP ($112,484). And with the industry making margins of 2-3 percent, we can’t afford that extra cost.” Tesla’s claimed range of 500 miles also exceeded previous rumors, but it still pales in comparison to conventional diesel trucks.